My 3 Big Secrets To Growing Tomatoes - Grow Great Tomatoes This Year! With garden season set to go into full gear, everyone is thinking about growing tomatoes! 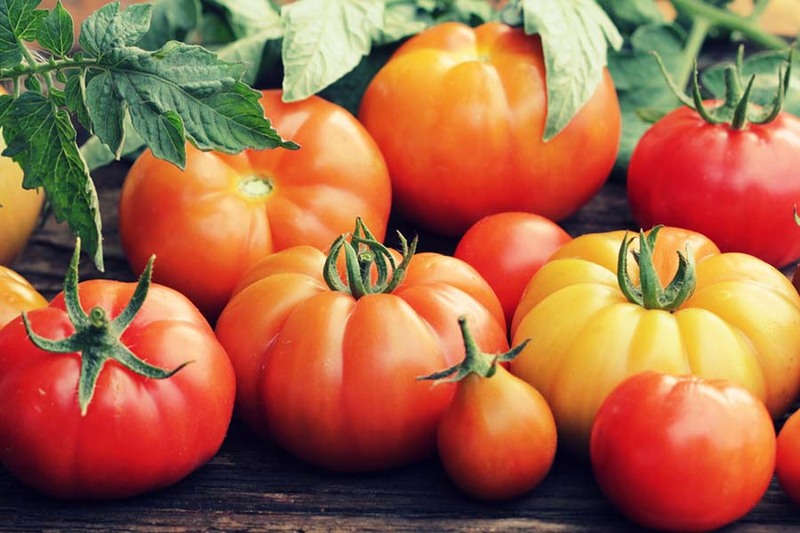 Whether eating fresh right off the vine, enjoying in a salad or using to make homemade salsa, pasta sauce, ketchup or more, tomatoes are the ultimate multi-purpose crop. But one thing is for sure, home-grown tomatoes are delicious! Supermarket varieties can’t even come close to matching that just-picked, sweet, juicy taste of perfection. And just in time for gardening season, today’s tip sent to us by David Willard from Eastern Kansas is all about growing this delicious fruit. Yes, even though tomatoes are one of the most popular plants to grow in the vegetable garden, they are technically a fruit. I have grown tomatoes in my little backyard garden for almost 20 years now. I usually grow between 10 to 15 varieties. I am always amazed at how different they can taste. I always grow a few paste tomatoes for my homemade spaghetti sauce, and a few slicing ones for tomato sandwiches. Nothing can beat a fresh sliced tomato sandwich! My real love is growing heirlooms. Mr. Stripey, Abe Lincoln, Black Krim and Sioux are among my favorites. But I always make it a point to try out a few new ones every year. Usually by mid-December, I start dreaming about that first taste of a ripe home-grown tomato. The first few that ripen never make it out of my garden! Over the years, I have tried more methods than I can even begin to count for growing tomatoes, But I always seem to come back to three below that seem to make all the difference. I bury my tomatoes deep, deep, deep in the ground! I leave only the top set of leaves when transplanting into the garden. Tomatoes will grow new roots below the soil line on the stem, and it really helps them to absorb nutrients and conserve water. Once I dig the hole, I always fill it with compost about 3/4 of the way full, then use the garden soil and lightly pack it in. The compost below really helps give the plants a lot of nutrients. It also makes it easy for the plant to develop new roots. I have never used any regular fertilizers or sprays on my tomatoes. Instead, I side dress them with chicken or cow manure I get from a small farm down the road. Side dressing is just a fancy way of saying I put it around the plants, but wow, does it work! You have to be careful not to put it right next to the stems coming out of the ground. If it is too close, it can burn the plants. I go about 6″ away from the plant and put about a shovel-full of manure around it. Then I bury it about half into the soil. The one other thing I do when growing tomatoes that seems to make a big difference is prune and take off the suckers. For the plants, as they grow, I always remove the bottom leaves up to about 6″. It keeps air to the plants. I also always pinch off the suckers. If a stem form between the cross of a stem, I pinch it off. The suckers that grow like that will not produce fruit, however, they do take nutrients away from the tomatoes that are growing. Thanks so much Dave for the tomato tips!